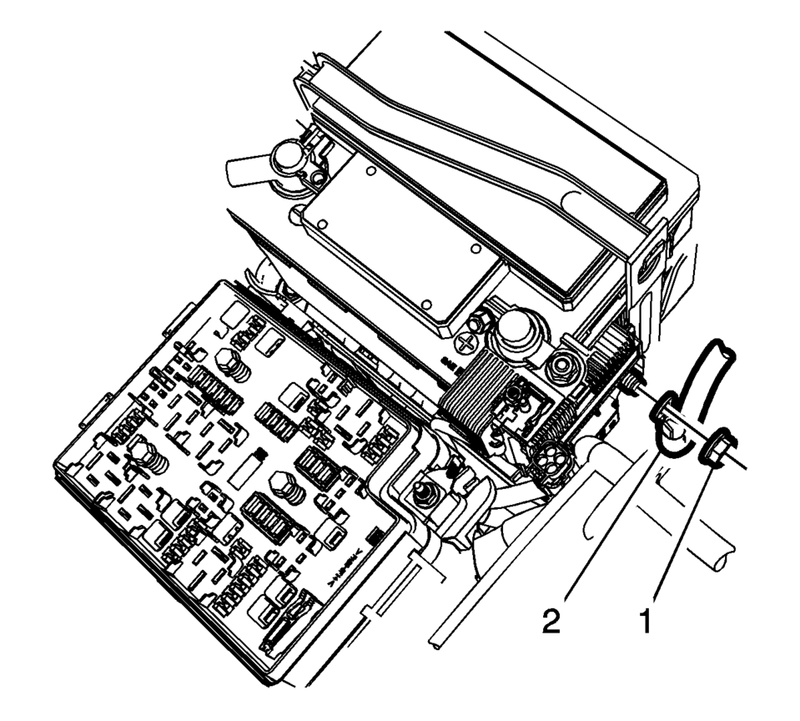 Remove the fuse block and battery positive cable cover. 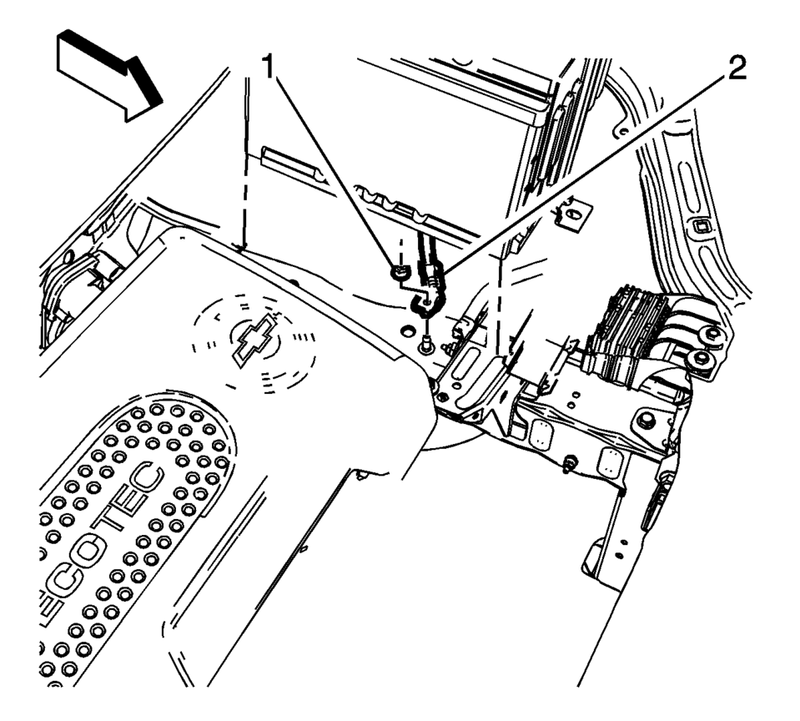 Remove the battery positive nut (1) and the battery positive cable (2), from the battery positive cable junction block. Remove the battery negative cable nut (1) and the battery negative cable (2), from the chassis frame stud. Remove the battery positive cable nut (2) and the battery positive cable (3), from the back of the generator. 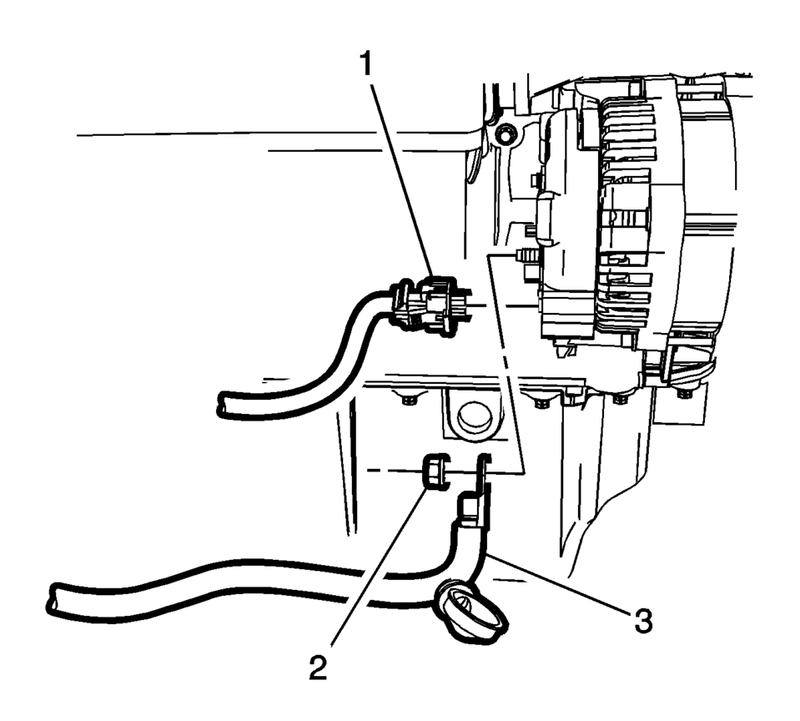 Remove the battery negative cable stud/nut (1) and the starter solenoid nut (2). 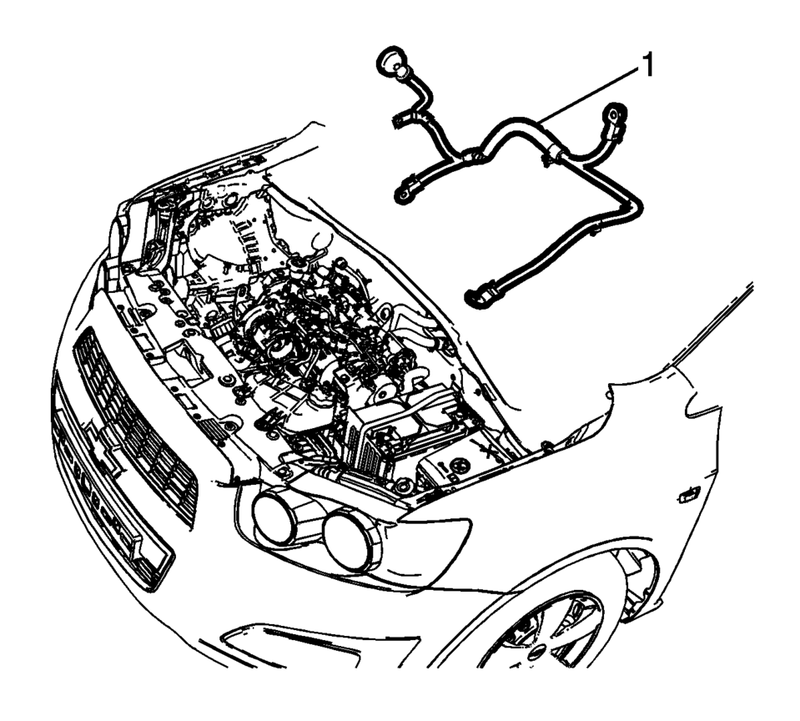 Visualize the routing of the battery positive and negative cable within the engine compartment. 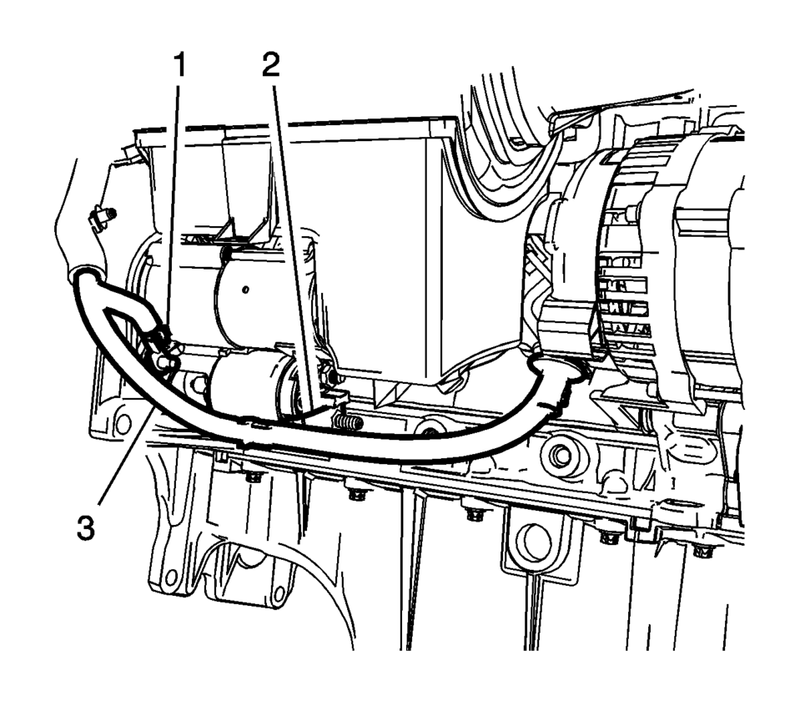 Remove the battery positive and negative cable (1) from the engine compartment. Install the fuse block and battery positive cable cover.